Are you a 12th south fan? Of course you are, everyone is! Have you ever walked down 12th and been blown away at the array of shops, food and unique finds? So have we! I’m here to tell you my personal favorites and show you how a day on 12th can quickly make you a raving fan! Reese Witherspoon, a native Nashvillian, has a boutique that just reeks of Southern charm. If you want to look as “pretty as a picnic,” check it out. 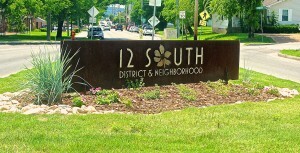 ENJOY YOUR DAY ON 12TH SOUTH!